I really wish someone would upload the audio to this podcast. I have an mp3 of the audio file stored away somewhere. I’d like to upload it because I think it’s a great podcast, very informative in putting together a lot of the best 9/11 analyses up to that point. But, for some reason, Abby Martin took this transcript I did for Media Roots down. Perhaps, she has backed away from the issue of 9/11, since moving up to host Breaking the Set for RT. As noted previously on this website, I lost all my contacts circa 2013 whilst at university. Perhaps, I should get in touch with Abby first and talk to her about her’s and Media Roots’ current position on the issue of 9/11. I agree it is a very informative analysis on 9/11. It’s on of my favorites. 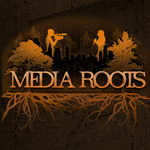 I have all the other media roots podcasts on 9/11 she did except for this one. If you can find the audio and upload it I would be very grateful. Interesting. Were you ever able to reach out to her and discuss 9/11? Interesting. Were you able to get in touch with her and discuss 9/11? After 2013, once at the University of Missouri-Kansas City, I never bothered to attempt to contact Abby Martin again. Graduating with honours was a higher priority than extracurricular activities. After graduation in 2015, domestic duties, principally parenting, have taken precedent over civic engagement or citizen journalism or muckraking. So are you going to post the audio to this podcast? ???? ?